Spring! Wonderful Spring! Isn’t it great when finally, after the long grey Winter, Spring is finally in the air. The snowdrops and crocuses make an appearance, the trees turn white and pink with blossom, their an undeniable happy freshness in the air. 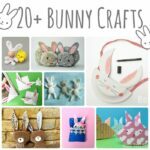 Coinciding with Easter, there is also a lot of lovely crafts out there to choose from. 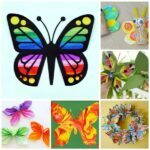 As you know, we have already pulled together a range of Easter craft ideas for you, now it is time for a little more focus on “just Spring”. Apologies, though if there is a little bit of an overlap! 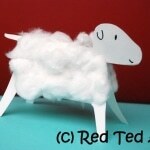 First up is this simple little lamb! When I made it with my kids, my 2yrs old kept saying over and over again “It’s soft, Mummy, soft”… aaah so cute! 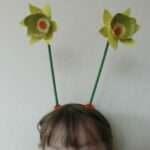 They really are simple to make and have the added benefit that they stand up (so you can play with them), alternatively, make several and turn them into a little mobile! The petal fairies are coming! 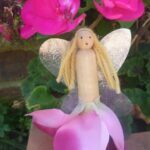 Spring is on its way at The Imagination Tree with these adorable little clothes peg fairy dolls. Sooo cute. 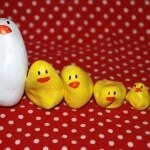 Well ok.. these are actually “5 Little Ducks (& their mum) that went swimming one day”… we loved making these – the kids can help paint and you can add the final detail. Then have lots of fun singing songs, playing counting games or just making up your own stories. Crafting with Egg Cartons is a must for every child, at least once in their life time!! 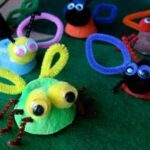 And these little bugs are sure to delight kids , you can create all sorts of wonderful little creatures. Your imagination is the limit. Kaboose shares the basics! The really lovely part of Spring, is getting out there and starting to plant your vegetable garden. 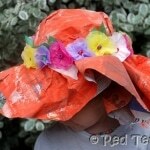 I love involving the children in this and as they get older they are able to do more and more. 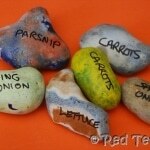 We used lovely stones to make these simple plant markers. Perfect! How cute are these “Gifts that Grow” from Me and My Shadow? 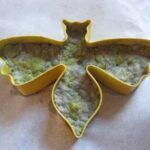 Yep… these are homemade little seed packages – shaped as butterflies and flowers – packed with seeds. Add water and watch them grow. What a fabulous gift for Spring! Check out Me and My Shadow and find out how she made them! Sooo you got the kids out and planted some seeds? How about this super duper cute mini book to record everything you did – what,when, where, how? 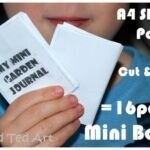 The mini books are made from one A4 sheet of paper, some clever folding a bit of snipping, NO glue and you have a 16 page booklet…. 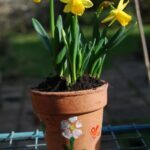 Another childhood favourite: painting plant pots! Then fill them with your favourite flowers. 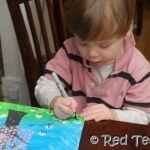 I love this little printing idea from Climbing Rainbows, a great way to get little ones involved. I know my children ADORE printing. So definitely one for us to try! Some countries celebrate Easter with the traditional “Easter Bonnets“… we think that these hats would look lovely all year round… Make them to celebrate the arrival of Spring flowers or decorate them with chicks for Easter! Your call. 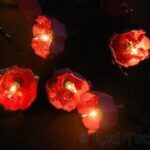 They are easy, inexpensive and fun to make! 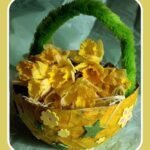 Whilst on the theme of flowers.. how about a little Spring Basket (of course doubles up as an Easter basket too).. this is a fun paper mache one. Here Come The Girls got crafty and shared their sweet craft and “how to”. 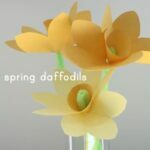 More Spring flowers with this very cute daffodil craft – nothing more Spring like that an a daffodil, now is there? 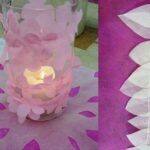 I love the use of cupcake liners and paper plates (hooray for paper plat crafts) and the final flower is just so cheerful! Molly Moo got crafty! 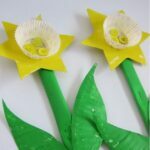 Or how about some more daffodils – this time involving pipe cleaners from The Long Thread? Seriously, you can’t have too many daffodils in your house! Pretty! 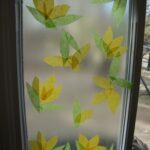 I adore window contact paper art – it is so simple for kids to have a go at and it looks so lovely – really bring Spring into your house. This a very simple and cute crocus idea from Silly Eagle Books. Isn’t it lovely? Or how about a Spring picture? We made these last year when Red Ted was 3years old and he was SO excited – at a trip to the park, I showed him all the blossoms in the trees and asked him if he wanted to paint some at home? YES! Was the excited answer… We used bubble wrap and finger prints and loved the outcome – part of a four seasons series. 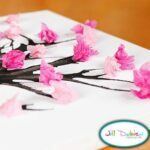 How pretty is this oh so simple blossom craft from Meet The Dubiens? It is simply gorgeous. Love the twigs and love the blossoms. Makes me want to go off and find some canvases to work on with the children (or maybe on my own, just for me???). Beautiful. 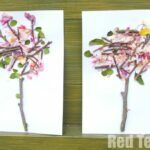 Alternatively use REAL twigs to make your blossom craft – just like Lightly Enchanted did. How pretty is that? 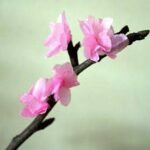 Blossom in your own home. So lovely. Really.. I do love blossoms and I do love Spring! 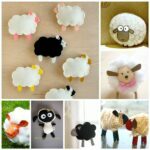 There is something totally adorable about crafts with buttons! They are so cute and so pretty and I LOVE what The Crafty Hostess did with these buttons! I love how they have added them to real plants total cuteness. Love. Adore. Ever thought about making your own container garden? 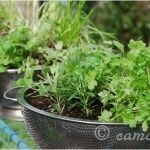 There are all sorts of household items that you can upcycle into garden pots – from colanders to wellie boots! 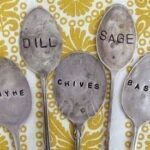 They look lovely and are such a great way to creatively use old things. Come take a peak. If the stone plant markers above are not quite your thing, but you still need “labels”, check out these very pretty spoon plant markers. Shrimp Salad Circus shares her wonderful how to! 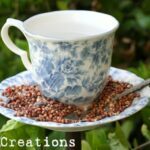 Whilst in the garden, you may want to create a little bird bath and bird feeder… how fun are these brilliant teacup bathes and feeders? What a fantastic and wonderful idea!! So cute. Cap Creations came up with the idea and shares the tutorial. We make these seedling pots every year. 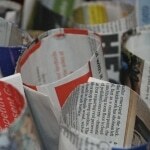 Newspaper seedling pots – they are so quick and easy to make and can be planted straight into the ground. What more would you want? You don’t even need “fancy equipment”, a glass or a bottle will do. Be inspired and make your own. How about making your own tool caddy – not only can you store your tools, but it doubles up as something to kneel on whilst digging around in the earth… a great tutorial over on Craftzine. 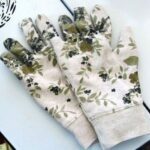 Whilst you have the sewing machine out, why not upcycle an old jumpe into these fun garden gloves – a 10minute job is all it is! How fun! Tutorial and idea from Lately Reconstructed. 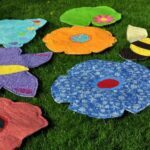 I love these spring garden playmats that Quince and Quire made – aren’t they wonderfully fun? 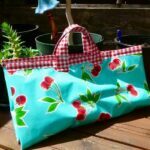 What a great alternative to picnic blankets and with all the different designs I am sure you could make up some sort of Spring game. Beautiful. I am inspired. 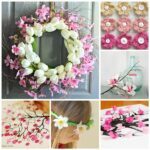 One of my much loved blogs – Creative Jewish Mum – has these beautiful and simple blossom party decorating ideas. So simple and yet so pretty. I really do adore the blossom luminary. Isn’t it gorgeous? 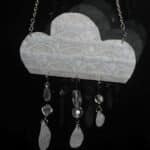 How lovely is this April Shower Necklace? So cute. And certainly something different. Take a peak and see how to make it over at Me and My Shadow. That crafty Liz, strikes again! 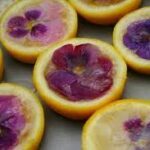 Oh my.. not only do these little bits of “liquid sunshine” look ADORABLE, they look delicious too! 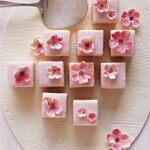 Using edible flowers to make this delightful Spring treat, I think that these look rather irresistable. Just too beautiful! Triad Moms on Main share their ideas! 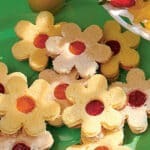 Or how about some adorable blossom sandwiches from Family Fun? They are sooo cute. I love them! How many blossoms can your kids eat? Oh my, these look simply perfectly adorable? Isn’t Martha Steward just the cleverest person ever? I confess, I am not sure I could achieve these, but I think I simple have to try one day? Simply beautiful! Oooh these look yummy yummy yum! 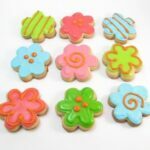 Pretty little flower cookies! Fancy giving them a go? The Decorate Cookie shares step by step instructions and lots more cookie making ideas! So many delightful and simple activities my child will love. Thank you! Fabulous! Would love to hear what you end up making! Love these! 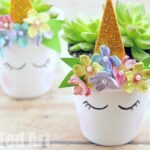 We just posted a few of our favorite spring crafts over on our blog too. I just pinned a few of these ideas (from the sources) and will be sharing this post. It is fabulous! 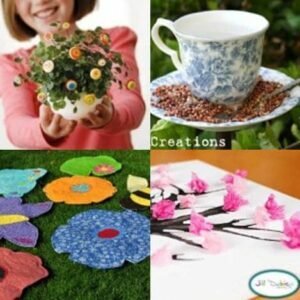 Oh I knew Spring crafts would be really pretty and it hasn\’t disappointed! Lovely stuff. What a great collection. Thank you so much for compiling! 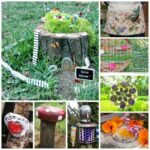 Lovely ideas, Spring is such a great time of year.